IELTS Coaching India: I am an IELTS Tutor and will give you helpful tips on how to ace the IELTS exam. It is my belief that by systematic study and practice it is possible for anyone to clear the exam with a good band score of 7 and above. I am a qualified teaching professional. I have a Post Graduate degree in Chemistry and also a degree in teaching (MSc. Organic Chemistry; B.Ed). I love teaching and am quite passionate about it. Currently, I am teaching IELTS, OET, and English Grammar at an Institute in India. My Grammar classes scheduled for 2 hours always go beyond that because the students love to sit and engage with me and complete their activities. The IELTS students praise me for the way I encourage them to speak and be motivated. I have 6 years of experience. I also teach through Skype. The skype id is nivi.nivikuruvilla@outlook.com. I want writing class only. Can you please tell me the fee structure? I am a certified ielts and pte trainer with 5 years of experince. Kindly contact for online sessions. I am a British Council Certified trainer (Freelancer). I facilitate students in the writing and the speaking modules. Having been an educator for over two decades, I am able to lay my hands on the common errors of students; the feedback given enables them to work on their language structures (grammar, vocabulary and presentation), which enables them to achieve higher band scores. I've over eight years experience in IELTS training. For the last four years, I've been a freelancer - my students hail from Australia to the United States, which includes India, UK and the Middle East. I teach via skype/google hangout/zoom/what's app. The one to one classes are at mutually agreed flexible timings, thereby the learners benefit in terms of time and money. My book, Everyday English - a self tutor in the basic structures of the English Language - has benefited learners to hone their language skills. The book has particularly been useful to learners who have not had the opportunity to learn English at the elementary level, and who consequently, find the language intimidating. It has put learners on a fast track to language development. AND my mantra - IELTS and beyond! 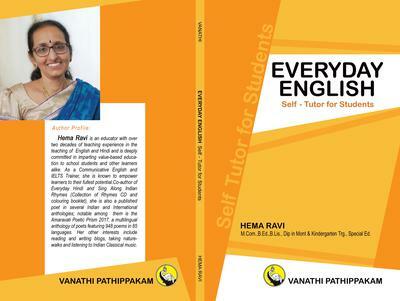 Mrs Hema Ravi is an excellent tutor owing to her outstanding communication skills as well as have in-depth knowledge. I really appreciate her dedication and perseverance to teach and motivate her students to receive desired scores. I really thank her as I am able to secure 7 bands in writing and speaking because of her assistance. 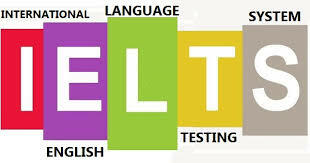 We offer the best IELTS training in entire Gujarat. 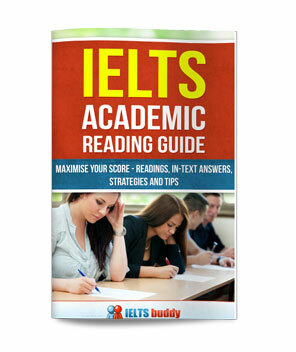 Guaranteed band score in all the four modules of IELTS. Our faculties have unique techniques of Listening, Reading, Writing and Speaking. If you want to successfully process your file for Visa, Please contact us. 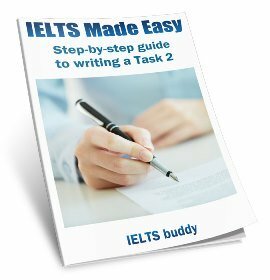 Preparing for the IELTS tends to be a time consuming process. Having the personal guidance of an experienced tutor can ensure a better result than studying on your own or going to face-to-face tutorial classrooms. As the training is online, you can save valuable time which you would otherwise spend in commuting to and from your tuition centre. Besides this, online training comes with the flexibility of anytime, anyplace learning as the course material can be readily accessed through the internet from virtually everywhere in the world. • Easily acquire the scores you need for immigration, work and student visas. • Online courses are deployed on a user-friendly IELTS platform for quick learning. • Tips, special skills, and strategies are taught. My skype id is Sandeep.mahahaj36. 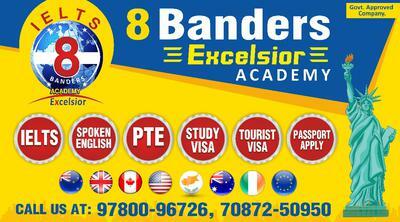 I am based at Amritsar- Excelsior Academic - The 8 Banders- above Health well lab, Nr. Celebration Mall, Punjab, India. 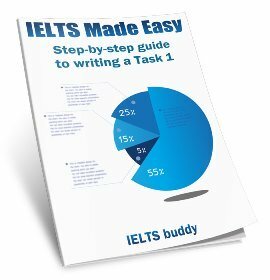 I am looking for an Ielts tutor who could help me in assessing my writing. I am lookin the online classes of writing. I need a 6 in writing but I couldn’t be able to cross more than 5.5. I am successfully running an IELTS coaching center called Wordsmith IELTS at Chennai. My website address is www.wordsmithielts.com. Please send me any challenging essay and I can show you how to plan and write the essay. You can send me your queries to wordsmithielts@gmail.com and I can show you the doorway to the world! It is nice to get help for Ielts online writing in chennai. I would be appreciated, If I get reply from you. 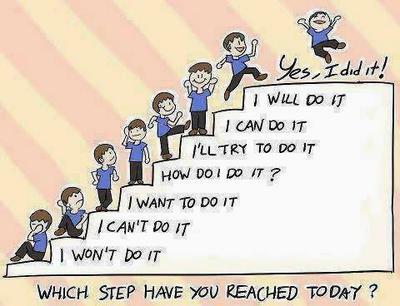 Good Morning and Greetings from Saai Raam International- No.1 Training Institute for IELTS in Bangalore. Trough our IELTS training you will not only improve your scores but also your communication skills especially report writing, understanding native speakers, improve your accent and speaking skills through our training. Please find some brief details about our training. We run our training classes both Online/Classroom and completely based on mutual convenience regarding the timing and scheduling of classes which includes Saturdays and Sundays too. Normally we schedule 1.5 hours/day on weekdays daily. We currently offer our training program online globally.We have candidates from the USA, UK, Canada, Australia, Singapore, UAE, Netherlands and Malaysia already on board. You will have the same experience as that of face to face training as we give individual attention and time to each candidate. Our training is on par with international standards which will last up to 35-37 hours. Your essays will be graded by us with a detailed feedback on how to improve your writing. Reading, speaking, writing and listening lessons will be given followed by exercises and one to one feedback on how to overcome your mistakes and improve your scores in each of these modules. We have a very high success rate which is attributed to our individual attention to each candidate, dedication, and commitment with which we work. Iam Vijayalakshmi.P an ex-banker, a certified trainor for IELTS exams. 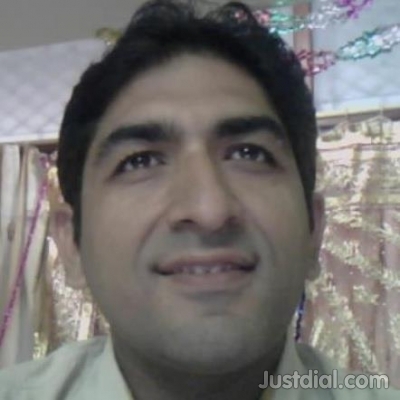 I have been teaching students from 2002 onwards and have 12 years of teaching. I do cover Writing skills, Reading skills Listening and speaking skills. I take classes on skype. My skype id is vijayalakshmi.parthasarathy1. I take classes from morning 8.00am to 1.00 in the noon and from 3.30pm to 9.00 pm (as per India time). My rates are Rs300/-per hour. I am flexible to your requirement. For example you want to take classes on daily basis for 2 hour duration, I can complete taking the practice tests and correction and reviewing them, say within a total span of 30 hours. If you want a systamatic class of an hour (5 dayus a week) I am ok with it and shall take for a month. I shall coach you to get the rating that you prefer to get in your academics or General. please feel free to contact me if you would like me to help you with your preparation. I am an online English teacher with experience. I have worked as a editor for 3 years, have an MA in English Literature and am a freelance writer and editor. I offer help for grammar, reading, writing, listening and speaking skills. Have a nice day and all the best with your preparations! please feel free to contact me if you would like me to help you with your preparation. I am an online English teacher with experience. I have had students from not only India, but Thailand, Mongolia, Japan, South Korea, Saudi Arabia, Oman, Yemen, Bahrain, Iran, Iraq, Sudan and Angola. I offer help for grammar, reading, writing, listening and speaking skills. Thank u Larisah, you r a great tutor, well dedicated and very patient. You have change my speaking dramatically. Every information had been given professionally. Most of the specking and writing parts that came in the exam, were familiar to me because you covered different variety of subjects... many thanks my dear teacher!! I need some one to help me to improve in all the modules. Am planning to write the ielts exam this year, but my English is poor. Hello, if any of you are looking for a teacher, please contact this teacher. She is wonderful, kind and very good at her job. Thank you, Ma'am for helping me with my speaking. I got a 5 in my previous test. After her help, I got a 7. Thank you! After identifying the areas where the student needs to work on, I prepare customized strategies and exercises that will help them avoid mistakes they tend to make as a result of which their confidence levels surge. As a trainer for IELTS I can help you maximize your scores in the Listening, Reading, Writing and speaking sections of IELTS. I offer training which is highly customized and focused. I offer both online and offline training with excellent training and practice tests. I run online classes on CITRIX platform and you can connect with me from anywhere in the world and learn. Hello Dr krishnakumar. how do i contact you? you email id, skype id or phone number please. Add me on Skype englishlive20, Google Hangout at (onlineenglishtrainer1) or Watsapp / Viber at +918979865815 to discuss. If you are one of the many victims of IELTS virus and If you are wracking your brains in contriving all your strategies as to how you could crack this DEMON VIRUS , I, as a specialist, advise you to follow the prescription given below. First, dedicate your time entirely for rigorous practices, the way you painstakingly dedicate your time to cajole your girl friend. 1) Do listening practices, one in the morning, one in the afternoon and one at night, indefatigably for 30 days, before you take the Exam. 2) Do Reading comprehensions (one full test containing 40 questions) one in the morning after break-fast and one at night before you go to bed, for 30 days. 3) Write two essays, one in the morning and one at night and get them checked by an Expert. 4) Download at least 100 FAQs from any IELTS SITES and try answering them in the presence of an expert, every day for an hour and revise periodically. 5) And, most important thing is that take grammar course and be armored with tenses, clauses and vocabulary. Presto! Now, you are fully armed to the teeth, to attack this virus. Trust me. Have no fear. You are well fortified. This deadly virus had raised its hood somewhere in the midyear of 2001 and had spread its tentacles since then. It has been making two million Diaspora every year suffer from such illnesses as anxiety neurosis, mental tension, insomnia, dejection and frustration , despair, desolation and consternation and hence it is suggested not to be neglected. I am an expert IELTS(virus) trainer with a vast experience of healing thousands of patients ,who had suffered from this virus. So, try me to get yourself treated on SKYPE. Call me on +919550724029 or contact me through mail. My mail ID is preddy2407@gmail.com. I am a Professor of English and have exemplary knowledge of inculcating you, various short-cuts and techniques in Reading module. I will also make you write 30 to 40 essays, which will be personally checked and improved by me in your presence on SKYPE. Further, I will try a minimum 200 speaking questions with you which are to be answered by you first and afterwards, I will give you the right version of the answer and you have my permission to record my voice..
And the icing on the cake is that I will teach you Grammar which is paramount to your writing and speaking modules since Examiners of IELTS are nit-pickers in picking flaws in your essay- writing and speaking. BBC INTERNATIONAL ADOPTS AN INNOVATIVE METHOD TO TEACH WRITTEN AND SPOKEN ENGLISH. 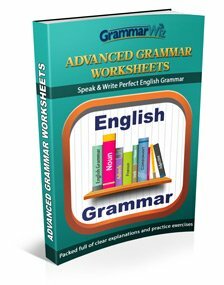 ENGLISH GRAMMAR. IELTS. TOEFL. USING DIFFERENT FORMULAS AS WELL AS AUDIO VISUAL METHODS. HENCE 100 % SURETY THAT A PERSON CAN SPEAK AND WRITE ENGLISH WITHOUT ANY GRAMMAR MISTAKE. MANY INTERNATIONAL STUDENTS STUDIED HERE. MANY STUDENTS WHO STUDIED HERE SECURED HIGH SCORES IN IELT. TOEFL. ULTRA MODERN CLASS ROOM ARRANGEMENTS. AUDIO VISUAL EQUIPMENTS. EASILY ACCESSIBLE SPOT. CLOSE TO ALL BUS STOPS. NOTES ARE PROVIDED IN THE FORM OF PEN DRIVE OR DISC OR PRINTED NOTES. I have been an English communication expert and have successfully helped my students in their grammar and their communication skills. I am a dedicated and patient teacher. I have been a communication training expert with Amazon.co.uk. I have secured a Masters degree in English Literature from the English and Foreign Languages University, India. If you want a trial, I can take a 30 minute class free of charge so as to help you decide if you want me as your trainer. Please contact me and I promise to do my best to teach you and help you practice your English and make you a more confident speaker. P.S You have got absolutely nothing to lose! I am carrying an experience of 5 years in teaching IELTS online.I always focus on students' weak points and help them to get their desired Bands by overcoming those. I know every students has his own pace and level to learn so I work according to that. I do not impose the same strategies for every student. I believe for different students different strategies work. Rest you can observe at the demo as my first demo class is free of cost and then you can decide. IELTS teaching is not just a profession for us, its our commitment and the reason to live!! That is why probably we are the only institute which gives money back guarantee.